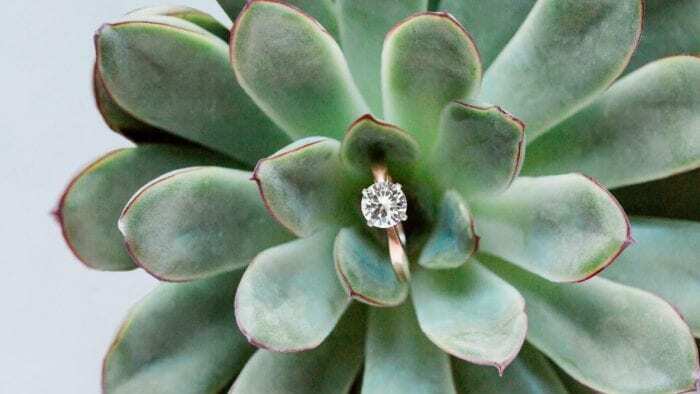 Choosing a men’s engagement ring may be tougher than expected. 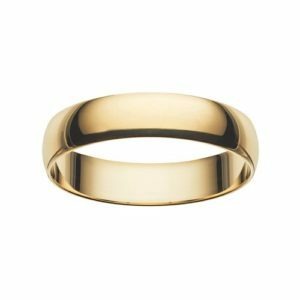 Men tend to be a bit more subtle with their style selections but when it comes to their wedding bands, the task gets trickier. Finding something that checks off all of the musts can be hard. It needs to be unique, timeless and masculine too! Fortunately though, there are several routes to take for all kinds of preferences. And no matter what path is chosen, you won’t fall short of a beautiful, lifetime love token for your groom. Here are 18 great ideas to sift through and spark inspiration. 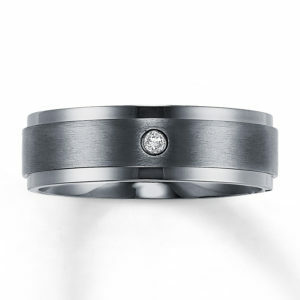 With a row of diamonds added to its overall tungsten carbide design, this band is full of sophistication and durability. This rich, masculine design is filled with contemporary style. 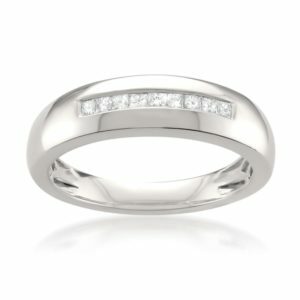 Accented by a single, round diamond, you’ll love both the look and comfort of this design. 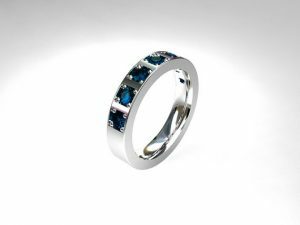 This luxurious design features a thin band with seven, round-cut blue topazes in square settings. Contact for quotes and shipping prices. This contemporary, artistic design will easily become a timeless, love token to cherish. You get the flash of the “Tiffany T” while staying true to your modern style. 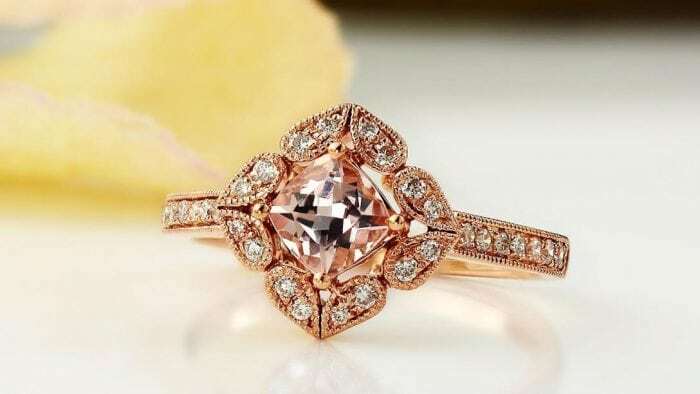 See more: Tiffany & Co. 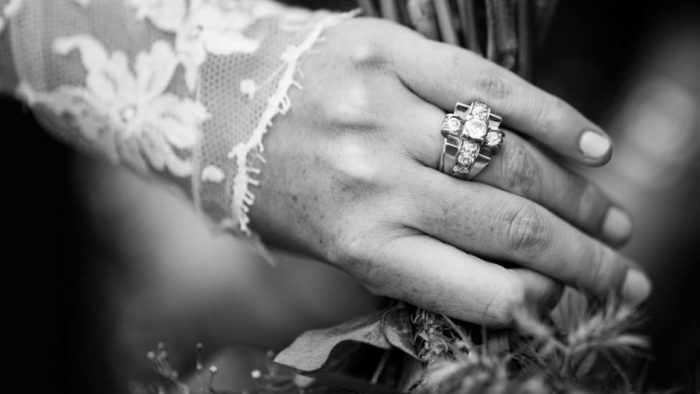 If you’re looking for true tradition when it comes to your wedding band, look no further than this. 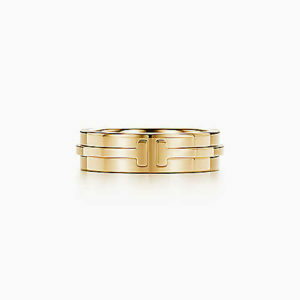 Constructed with a durable, 10K gold, it’s the perfect way to showcase your love. 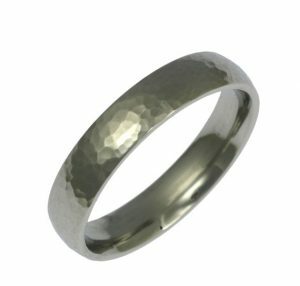 Add traditional appeal to your groom’s unique style with this white gold wedding band. Featuring subtle, outlined accents, you get the best of both worlds with this piece. Free shipping with ship-to-store option. 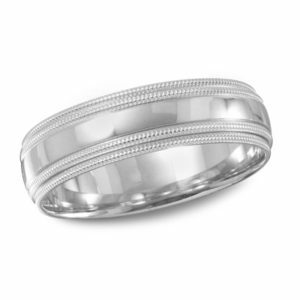 A simple and smooth platinum band will never steer you wrong. Understated and subtle, it’ll blend within your personal style easily. Some regulations on shipping, check details. 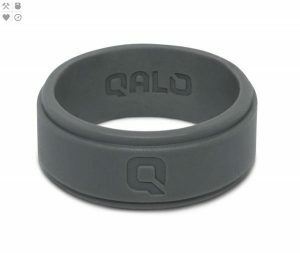 A comfort fit band with a unique design, you get both style and luxury with this platinum piece. Ships worldwide from the US. 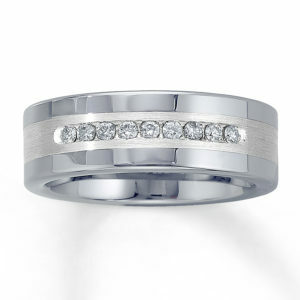 This band was designed with beveled edges and nine, channel-set diamonds. For a bit more flash, choose a design like this! 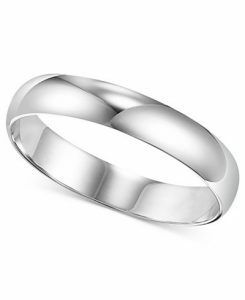 Another simple design, this platinum band holds a beautifully crafted symbol of love for the groom to don the rest of his life. 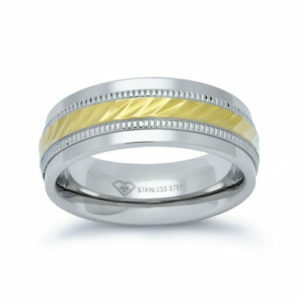 Check out this affordable two-tone, stainless steel design. 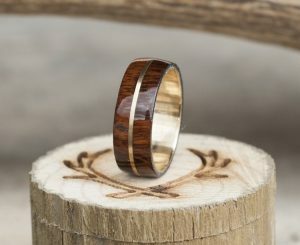 Featuring a milgrain accent, there’s a lot of unique appeal within this band. 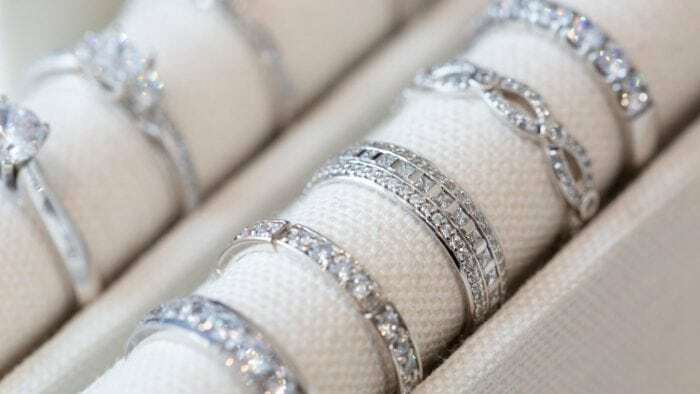 Jewelry protection plan available for purchase. 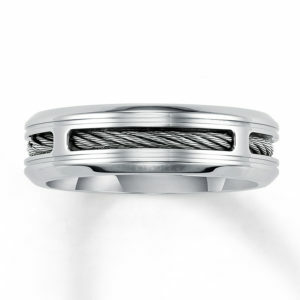 With a steel cable accent in the center, this innovative wedding band is definitely an original choice. 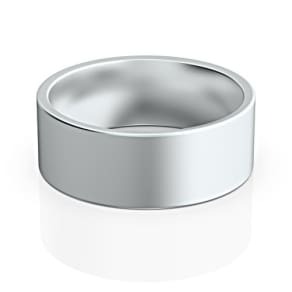 This stainless steel design will have the durability to withstand everyday wear. But, the beauty is, that it’ll still hold onto its hammered features as well. 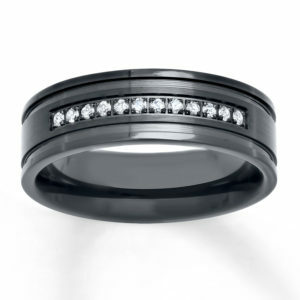 For something more masculine and with a punch of luxury, this intense black design featuring a diamond accent has it all. 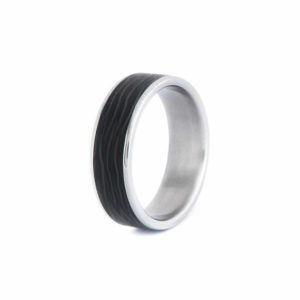 Ultra-affordable and great looking, this handmade carbon fiber ring is contemporary and understated. Worldwide delivery is available, as-is rush shipping. 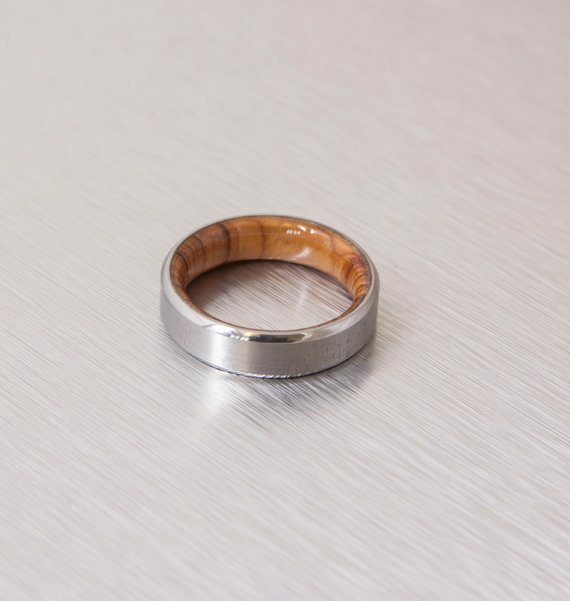 This wood wedding band is not only gorgeous but it’s completely innovative in its design. 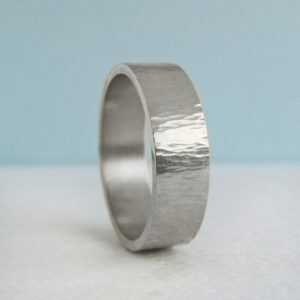 Created using raw materials including, wood and gold with a titanium divider, you’ll be wowed by the finished product. Check specifications and policies here. 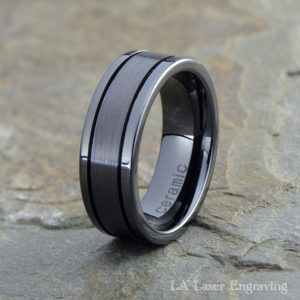 An affordable piece and one that you can personalize, its black, simple statement will look good for years to come. 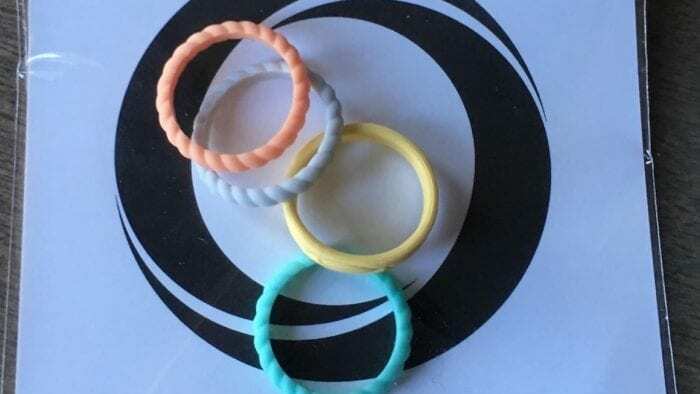 The perfect choice for men who are consistently working with their hands, a silicone ring is a dream design. Learn even more about these designs here.